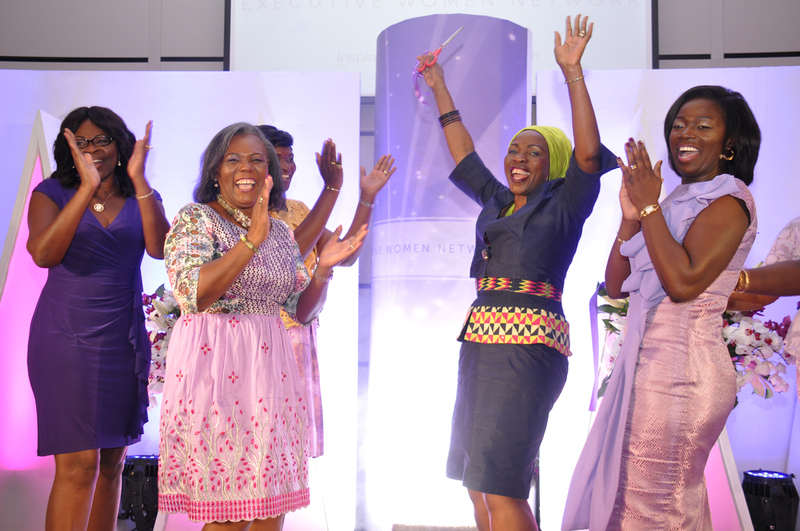 The Executive Women Network, a non-profit organisation of women leaders in senior management and executive positions in private organisations and women entrepreneurs of well established businesses in Ghana has announced October 12th, 2018 as the date for its second annual conference.The second edition of the conference is schedule to be held at the Labadi Beach Hotel in Accra under the theme Implementing Brand Ghana: The role of Women Leaders. 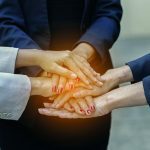 This one-day workshop is designed for people considering their first board position or seeking to add a new non-executive role to their portfolio. It is a fast-paced workshop that will develop your knowledge about directorship and enhance your capability as a candidate, along with providing strategies for including board work in your career. 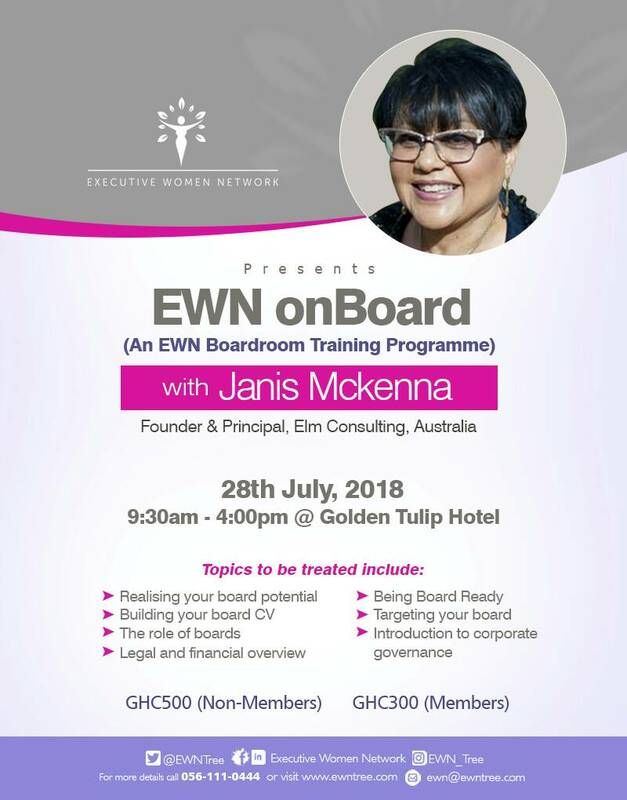 This workshop is not just for beginners, it will provide valuable insights, motivation and inspiration even if you already have board experience. 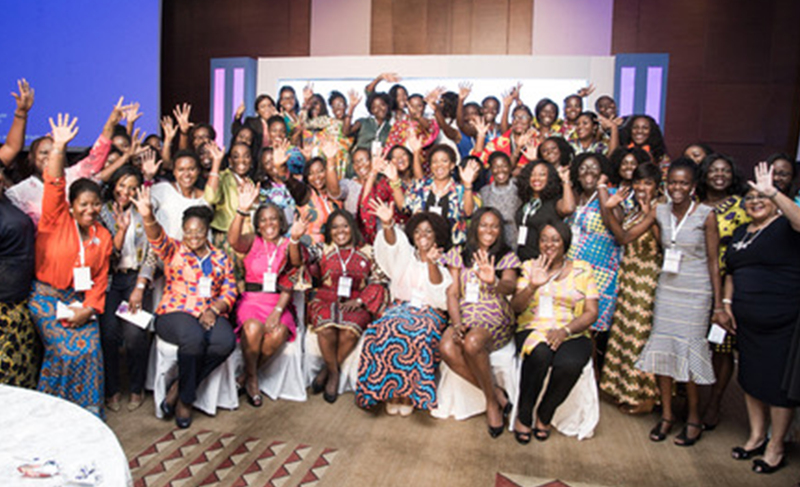 The workshop will enable young women and senior management executives to reach new levels of personal and professional confidence by broadening their impact and transforming their ability to affect organizational and social change. 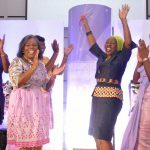 Participants will attain a greater understanding of their personal strengths, have a clearer sense of the skill sets required in the boardroom and be equipped to be better at decision making at senior levels. The rare opportunity to expand your network, meet and connect with senior business leaders whose experiences can transform your career. Contact Wendy on 0561110444 for further details.